Home News Is there a place for Wagyu in Ohio? Is there a place for Wagyu in Ohio? SALEM, Ohio — There’s been a slow, but growing, interest in the Wagyu beef breed in Ohio. A premium rate for a high prime product seems to be the draw, but does it have enough of a market? Wagyu look similar to Angus cattle, but are leaner and finish around 1,500 pounds. Wagyu take longer to reach the finished stage, but eat less than Angus cattle. They are considered fairly docile and have better birthing efficiency due to smaller calf size. Wagyu cattle were first brought to America from Japan in the mid-’70s, but Japan designated the breed a national treasure in 1997, banning exports of Wagyu cattle to the U.S. In Japan, one strain yields the high-end Kobe beef products. 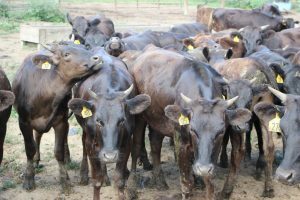 The American Wagyu Association estimates there are 30,000 Wagyu-influenced cattle being raised domestically, with less than 5,000 of them being full blood. And, according the American Wagyu Association’s member listing, there are currently 10 registered Wagyu breeders in Ohio. “We’ve done a good bit research over the last several years and the main thing is it’s a much higher marbling breed,” said Francis Fluharty, an animal scientist at the Ohio State University’s Wooster campus. A slightly lower melting point gives Wagyu beef a higher monounsaturated fatty acid profile, said Fluharty. He said there are three cattle breeds in the world that have this lower melting point: Wagyu, Hanwoo (indigenous to Korea and not exported) and the Jersey dairy cattle breed. 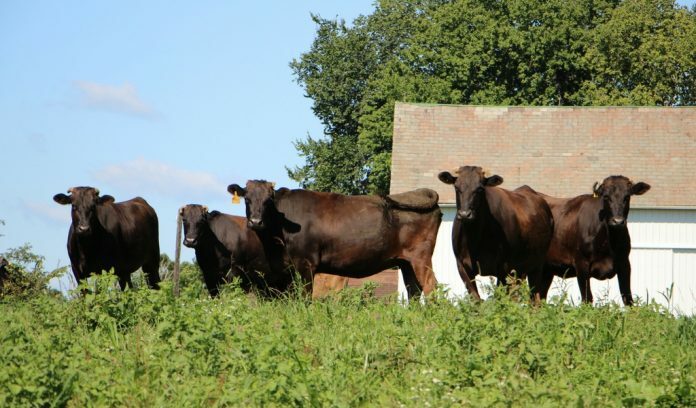 A couple Ohio producers have taken note of the Wagyu breed and have started incorporating Wagyu into their own beef cattle operations. 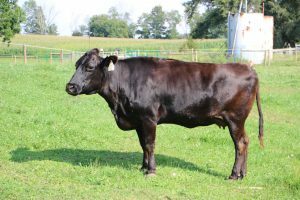 Francis Pang, of Navarre, Ohio, started introducing Wagyu into his herd in 2008, purchasing 20 Wagyu embryos and flushing some of his Angus heifers with them. Now, Pang is up to 300 head of cattle on his farm, with only 28 full-blood Angus left that serve as surrogate mothers. Wagyu cattle have a much higher marbling propensity than most beef cattle. The marbling can be seen throughout the beef cut rather than around it. Pang was attracted to the marbling and melt-in-your-mouth taste that attracts many to this type of meat. “The meat quality of (Wagyu) is just phenomenal,” said Pang, who markets his beef both directly to consumers and to a few markets in the Cleveland area. The Japanese Beef Marbling Score (BMS) ranks beef on a scale from one to 12 — with 12 being the highest marbling. Pang explained a four is considered prime and a full-blood Wagyu can produce a score of eight to nine. Crossing Wagyu with Angus can result in a score of four to seven. 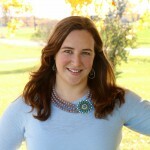 Brooke Pidgeon, of Blackstone Performance Farms, was also surprised by Wagyu’s natural ability to marble. “The marbling goes through the beef rather than around it,” said Pidgeon. Currently Pidgeon has a herd of 40 Angus cattle and 15 full-blood Wagyu cattle. His goal is to build a herd where he can market his genetics. Wagyu are slow-growing animals, Pang said. “They’re not big and fast like Angus. It takes a bit longer to feed them out, but they don’t eat as much,” he said. Wagyu grow around two pounds per day, consuming around 2 percent dry matter, and take around 400-450 days before they are ready for market — around 1,500 pounds, explained Fluharty. Crossbreeding with Angus cattle helps speed the feeding process a little, but also results in a beef product that has the desired marbling. “This isn’t a program that is going for muscle,” said Fluharty. “This is a complete high-end product, shooting for high prime,” he said. Another appeal to the Wagyu breed is the ease of calving. The birth weight on Wagyu is lower and their birthing efficiency is higher, Pidgeon said, adding calf size is usually around 60 pounds. Wagyu cattle are generally more docile than Angus and other breeds of beef cattle, and they are adaptable. “Wagyu are not an exotic animal, they are born and raised here,” said Pidgeon. The American Wagyu Association estimates there are 30,000 Wagyu-influenced cattle being raised domestically, with less than 5,000 of them being full blood. There are currently 10 registered Wagyu breeders in Ohio. According to Pang, Wagyu heifers sell anywhere from $4,500 to $6,500 and Wagyu cows, from $6,500 to 8,500. “We need to establish a target price as more producers come into the market,” said Pang. 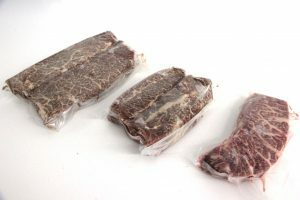 Pang can sell a full-blood Wagyu for $6.50 per pound (by hanging weight) to restaurants and can sell a single steak or ribeye direct to consumers for $42 per pound. Pang kills around 36 Wagyus a year and, at the time of this report, was completely sold out of steaks and ribeyes. “I have an order for as many filet I can produce, which is too many,” he said. Fluharty said research is also being conducted with the American Jersey Cattle Association in crossing Wagyu breeds with Jersey cattle. Jersey’s already have a high marbling propensity, so crossing with Wagyu would enhance the chance for a prime product, he added. “We have dairies really looking into this as a marketing opportunity,” he said. “The whole essence of this is that Ohio has a lot of really high marbling Angus,” said Fluharty. Bottom line, though, “it still requires people to buy really good genetics,” he said.